With the "Free Greedo" movement in full effect, Los Angeles is missing one of their most promising MC's of the last few years. We're hoping that 03 Greedo only serves a portion of the twenty years he was dealt but if he ends up locked away for the next two decades, the West Coast will be missing a prominent figure. A new face in the L.A. music scene, RedAngel is trying to fill an open spot with the resurgence of California rap happening in full force. 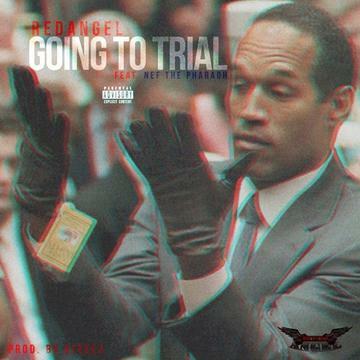 Collaborating with Nef The Pharaoh on "Going To Trial," we get to learn a bit about RedAngel through his music. The two Cali rappers are loyal to themselves and their cliques, never snitching and absolutely not taking any plea deals. Ready to face any obstacle in his way, check out Red and let us know your thoughts.